Thanks a lot for your booking and Payment using Creditcard. Please verify your booking details in the email send to your email adress. Meeting place: Arctic Princess and Arctic Queen. Go down the ladder, Arctic Princess (white catamaran) and Arctic Queen (White Yacht) are docked only 15m from the hotel. Be there 5 min before departure. 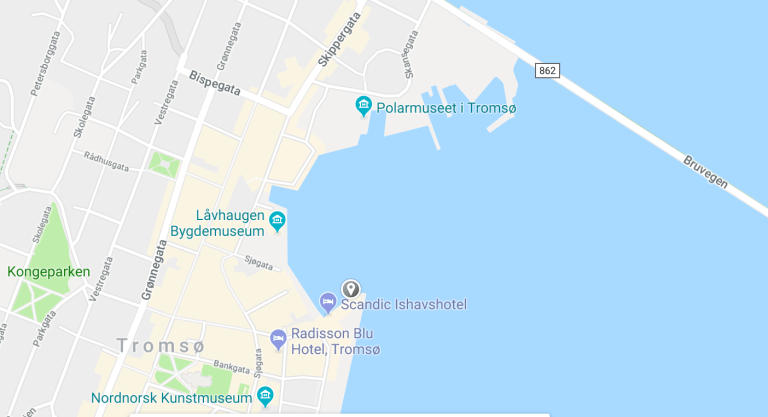 Outside Entrance door at Scandic Ishavshotel, in the city center, Adress: Fredrik Langes gate 2, 9008 Tromsø, Google maps, Be there 5 min before departure. We wish to welcome you onboard.